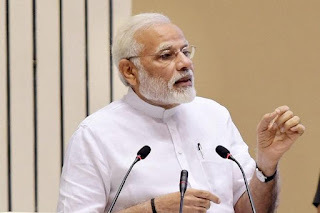 The Union Cabinet headed by Prime Minister Narendra Modi has approved setting up of a Unified Authority for regulating all financial services in International Financial Services Centres (IFSCs) in the country. For the setting up of a Unified Regulator, the Union Cabinet has approved the International Financial Services Centres Authority Bill, 2019. Why IFSCs are set up? IFSCs are set-up to bring back the financial services and transactions that are currently carried out in offshore financial centres by Indian corporate entities and overseas branches or subsidiaries of financial institutions (FIs) to India. In order to ensure this, the business and regulatory environment must be comparable to other leading international financial centres in the world like London and Singapore. Currently, the banking, capital markets and insurance sectors in IFSCs are regulated by multiple regulators like the RBI, SEBI and IRDAI respectively. For IFSCs to attain its objectives there is a need for inter-regulatory coordination. The first IFSC in India was set up at the GIFT City in Gandhinagar, Gujarat. Q. The Union Cabinet headed by Prime Minister Narendra Modi has approved setting up of a Unified Authority for regulating all financial services in which centres in the country?